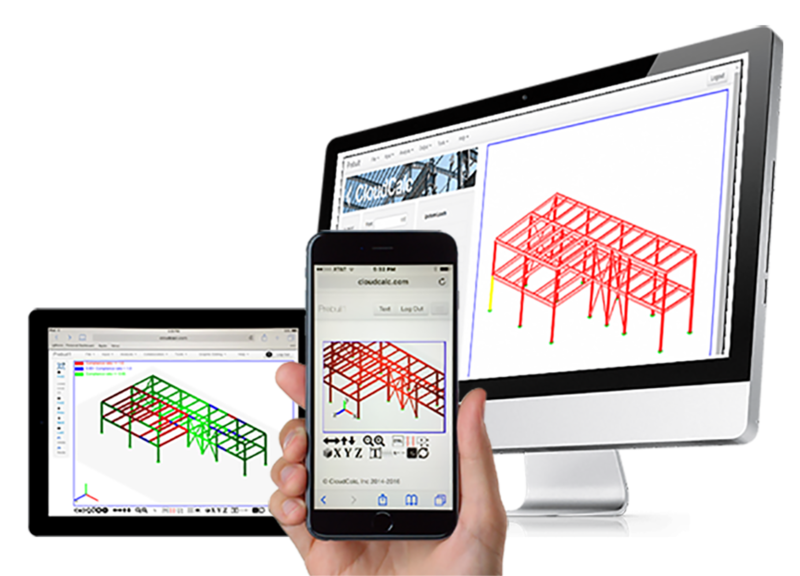 Structural Analysis Software in the Cloud. 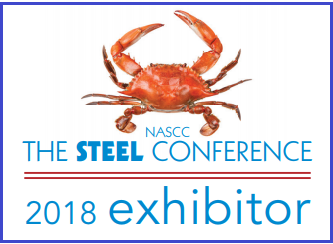 The May 2018 Newsletter is available now. 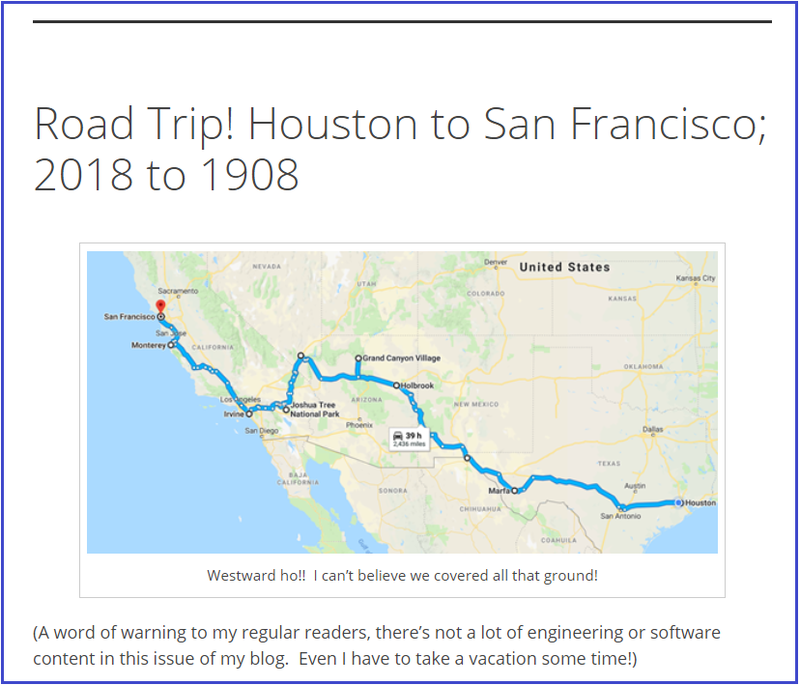 Houston to SF; 2018 to 1908"
See how easy modeling can be! 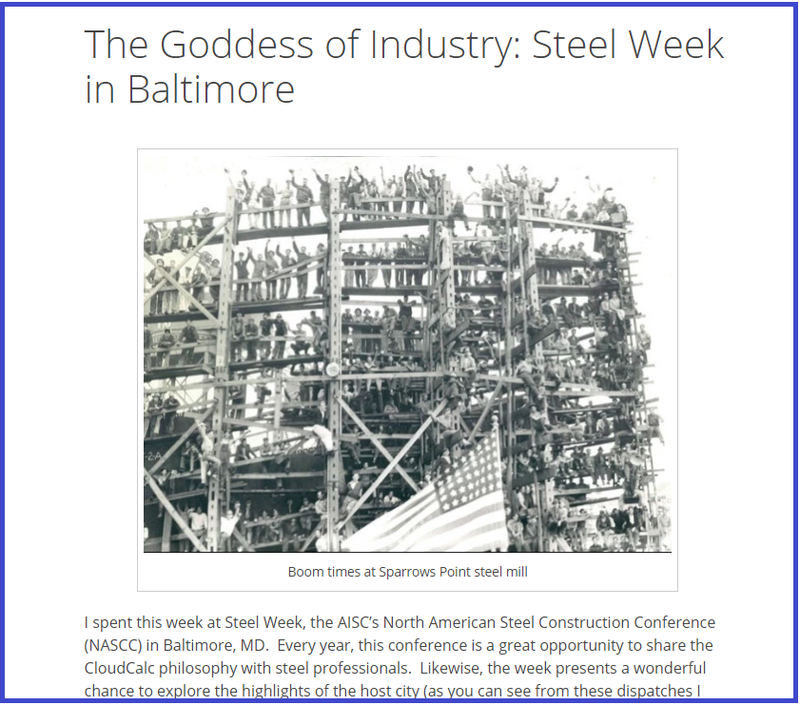 The April 2018 Newsletter is available now. The January-March 2018 Newsletter is available now. 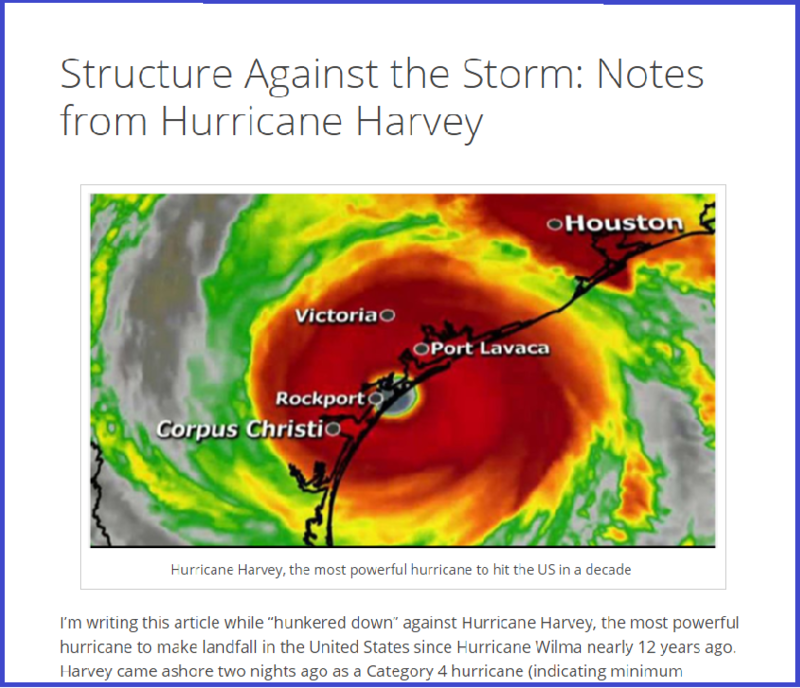 "Structural Analysis in the Cloud: What's in it for You"
The December 2017 Newsletter is available now. 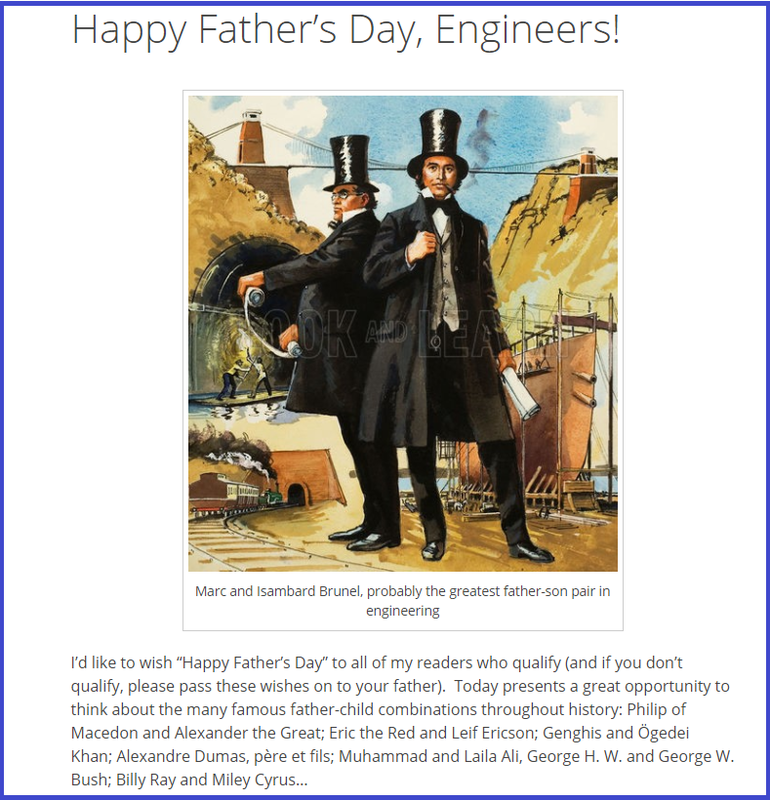 Everything I learned in Engineering School"
The May-July 2017 Newsletter is available now. 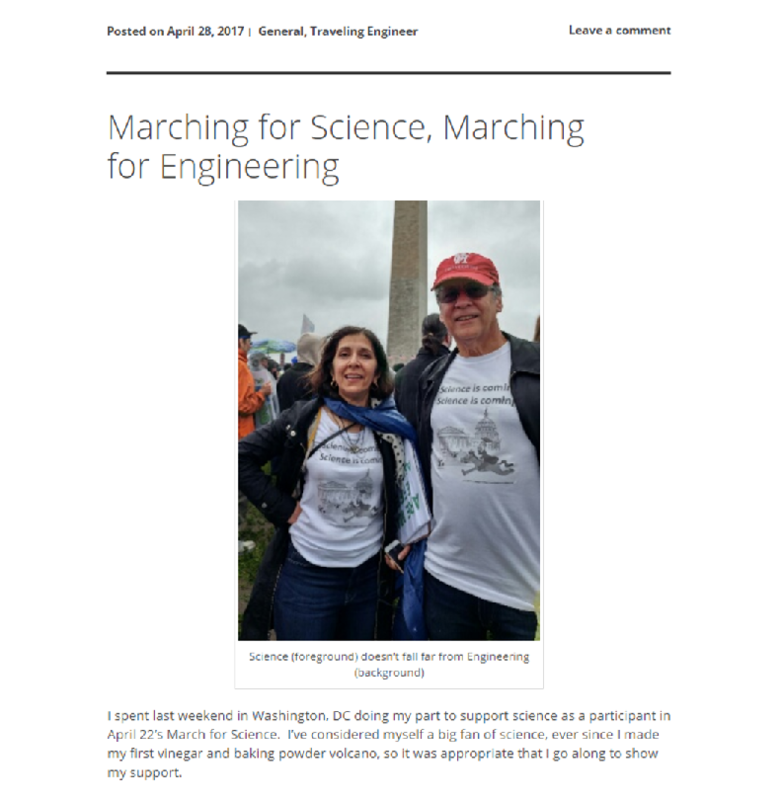 The Mar/Apr 2017 Newsletter is available now. The Sep/Oct 2016 Newsletter is available now. 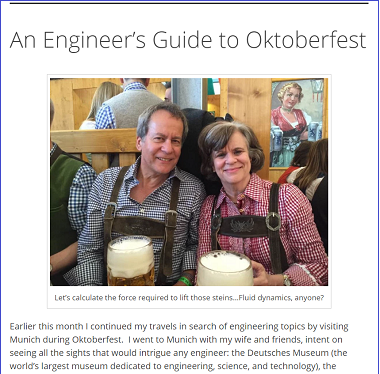 "An Engineer's Guide to Oktoberfest "
The August 2016 Newsletter is available now. 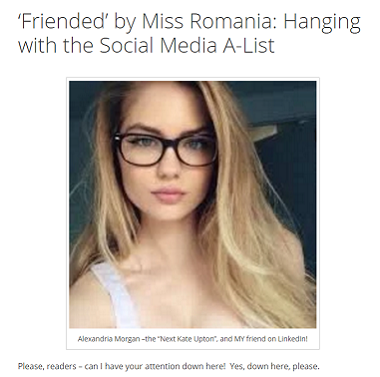 Hanging with the Social Media A-List"
The June-July 2016 Newsletter is available now. 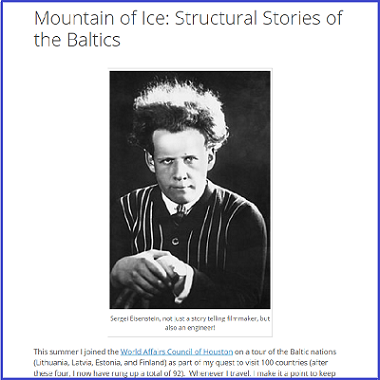 Structural Stories of the Baltics"
...Welcome to the Terrible Twos"
The May 2016 Newsletter is available now. 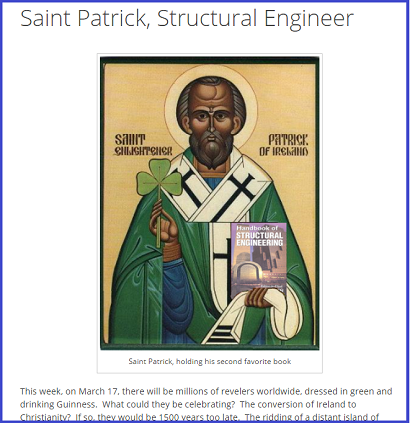 "Will Structural Engineering in the Cloud Save You Time and Money?" The April 2016 Newsletter is available now. 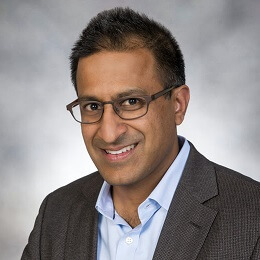 CloudCalc CEO to appear on Entrepreneurial Panel. 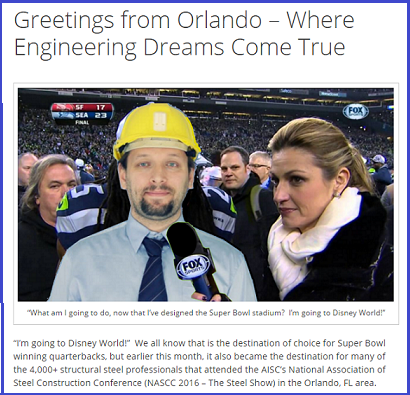 ...Where Engineering Dreams Come True"
The March 2016 Newsletter is available now. 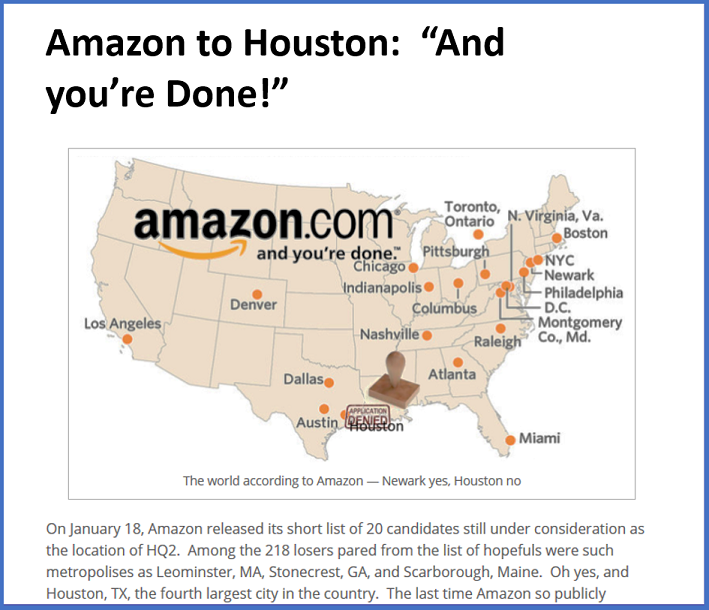 The February 2016 Newsletter is available now. 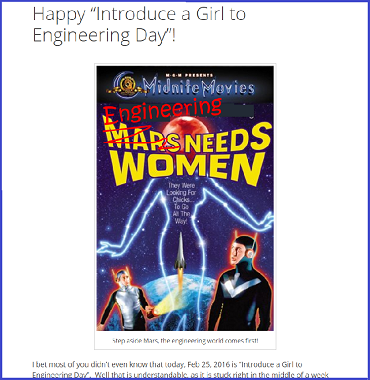 "Happy 'Introduce a Girl to Engineering Day'"
The January 2016 Newsletter is available now. 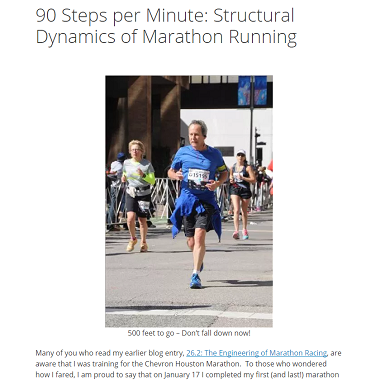 "90 Steps per Minute: Structural Dynamics of Marathon Running"
The December 2015 Newsletter is available now. 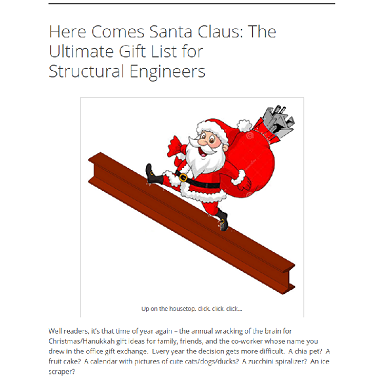 "Here Comes Santa Claus: The Ultimate Gift List for Structural Engineers"
The November 2015 Newsletter is available now. 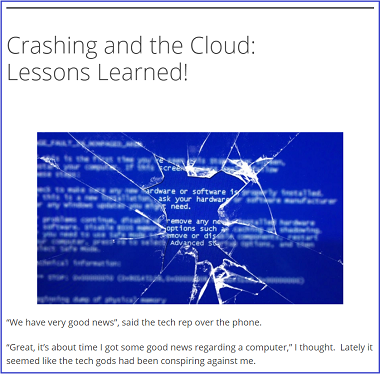 "Crashing and the Cloud: Lessons Learned!" 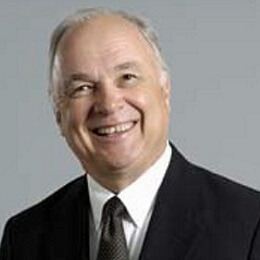 The October 2015 Newsletter is available now. 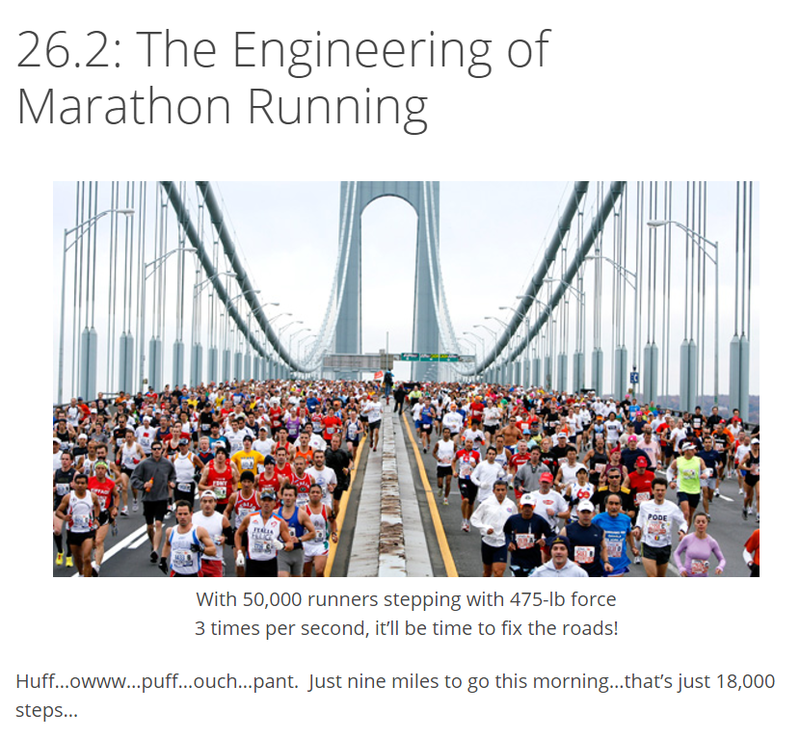 "26.2: The Engineering of Marathon Running"
CloudCalc exhibited at the Structural Engineers Association of Texas (SEAoT) 2015 State Conference, Oct. 22-23, in Houston, TX. If you missed us there, we look forward to seeing you next year, at the 2016 State Conference in Austin, TX. Built by engineers, for engineers. CloudCalc is looking for creative, energetic, enthusiastic team members who are ready to build a brand new industry. If the startup lifestyle is for you, if you love software (using and developing it), are an engineer at heart (or better yet, by profession/training), and believe in pushing the status quo further than it’s ever been pushed before, we want to talk to you! 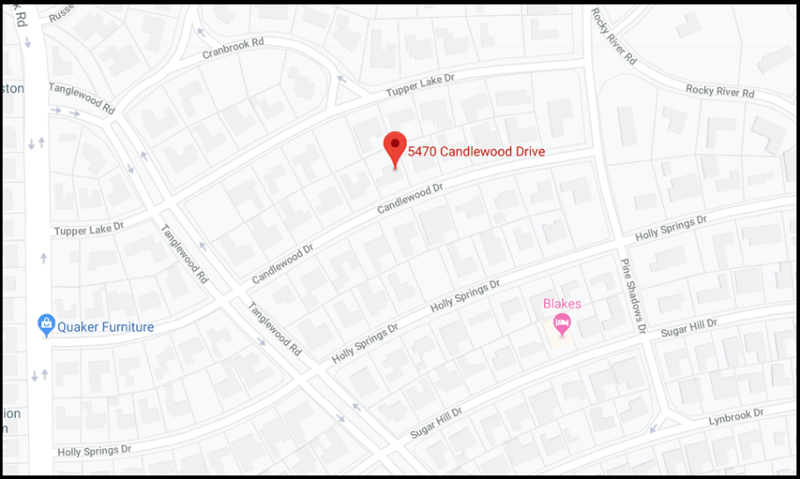 CloudCalc, Inc. is looking for a developer who can work on a calculation intensive, graphic oriented, cloud-based, multi-tenant application, in an environment where accuracy is mandatory and performance is paramount. Interested? Please send your resume and compensation requirements to tvanlaan@cloudcalc.com today. We're sorry, this position is currently filled, check back later. 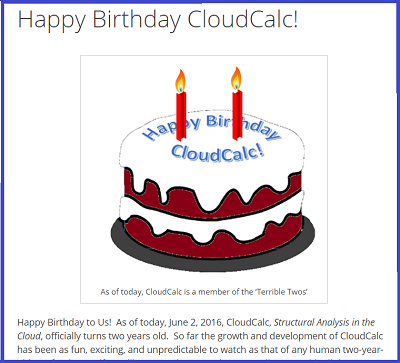 Thank you for your interest in CloudCalc! 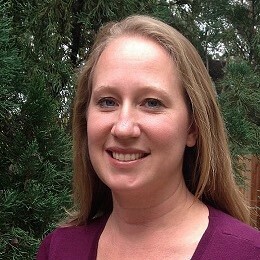 CloudCalc, Inc. is seeking a part time marketing intern (student or recent graduate) to perform a number of marketing tasks: execute social media campaigns (primarily LinkedIn and Twitter), help create ad media and manage its placement, develop content for blogs and other marketing materials, web site maintenance, and help promote the CloudCalc user community. 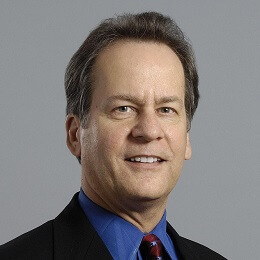 Most importantly, the candidate must be creative, with strong communication skills. Second most important, would be familiarity with social media, Wordpress, Photoshop, Google (Ad Words and Analytics), and basic web development capabilities. 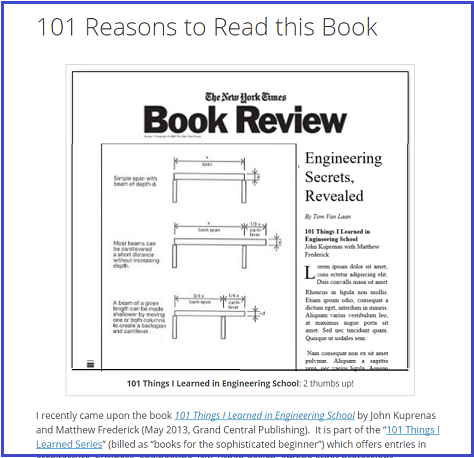 Any past experience with engineering software -- or an ability to learn about it -- is a plus. Interested? 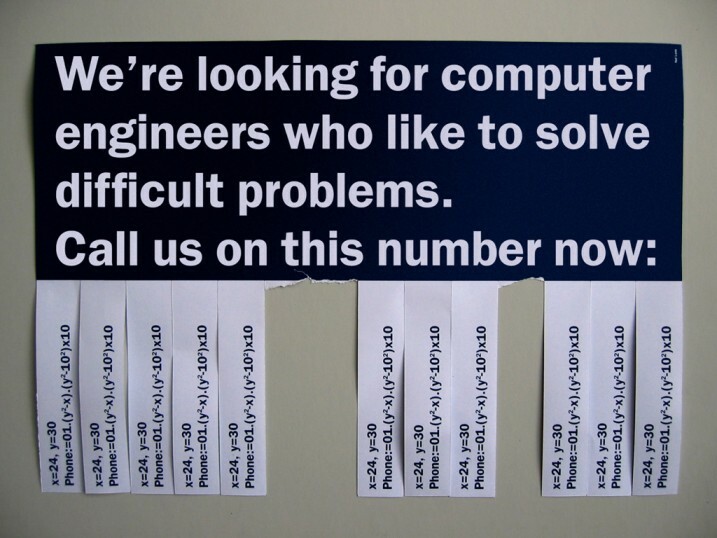 Please send your resume to tvanlaan@cloudcalc.com today.